Even though Rio Tinto's first-half 2012 results showed a significant drop in earnings, Morningstar analyst Mark Taylor believes Rio Tinto is a world-class miner and explains that the second half of 2012 should bring performance improvements. Read the full Morningstar research report on Rio Tinto here. The pharmaceutical company recently reported high double-digit revenue growth for the first half of 2012. Morningstar's Michael Waterhouse reviews the company's performance and discusses his opinions on each business unit within the larger business. Read the full Morningstar research report on Hikma Pharmaceuticals here. Morningstar analyst Thomas Mullarkey has published new reports explaining the major impact an Australian court ruling will have on tobacco companies around the globe. "Australia's High Court rejected a legal challenge against the introduction of plain packaging for tobacco products. This decision makes it that much more likely that by 1 December, 2012 all cigarettes sold in Australia will come in plain olive-green packs with graphic health warnings," he writes. This ruling could lead to other countries introducing plain cigarette packaging in their regions, which could hurt the branding power of large tobacco companies. However, Mullarkey believes that the plain packaging rule could also backfire on the Australian govrnment, and he explains his rationale in his report. Read the full Morningstar research report on British American Tobacco here. Shares in the global bank have been extremely volatile in the last few weeks as the company faced the threat of having its New York banking licence revoked. The problems for the bank began when the New York State Department of Financial Services (DFS) accused the bank of helping Iranian clients launder money over a 10-year period. Morningstar banking analyst Erin Davis says the bank's recent $340 million settlement with the regulator was "good news," but risks still lurk. 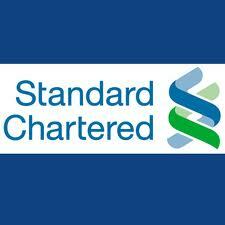 Read the full Morningstar research report on Standard Chartered here. Morningstar analyst Mark Barnett believes that the company has benefited from a substantial flight to safety in recent months, which has driven its valuation well into overvalued territory. Currently, the company has a 2-Star rating. Read the full Morningstar research report on United Utilities here.